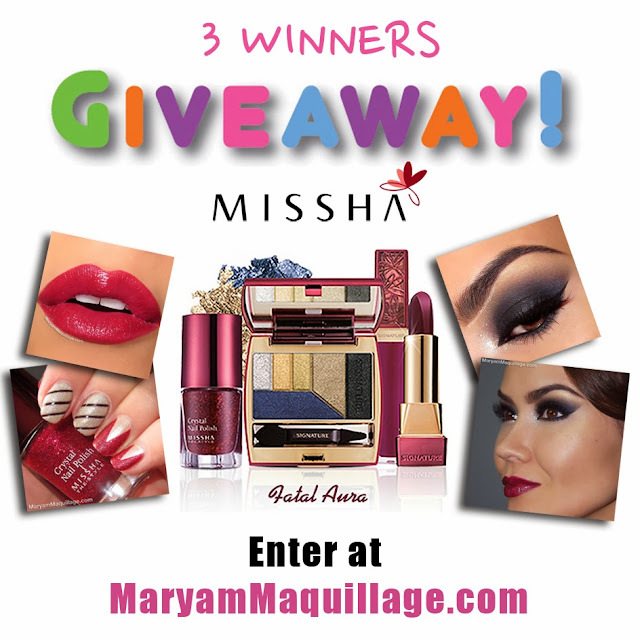 Maryam Maquillage: Missha "Fatal Aura" Holiday Makeup & GIVEAWAY!!! Prime the lids with eye base or primer and apply black gel liner to the lid, blending the product slightly past the crease and below the lower lash line. Using a flat brush, apply a navy eyeshadow on top of the black gel liner and blend out the edges with a stiff dome shaped brush. Use windshield wiper motions to smoke out the shadow in the crease. 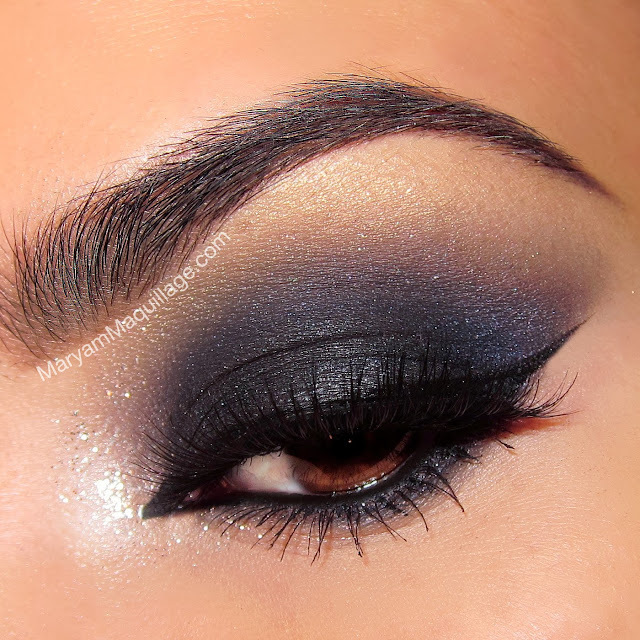 Deepen the outer corner with a smokey dark gray eyeshadow and blend it well. Apply a light gold eyeshadow to the brow bone and blend with the crease shadow for more smokiness. Line the top and bottom lash lines and connect the inner and outer corners. Extend the outer wing and inner tear duct. Rim the waterline using the same black gel liner. 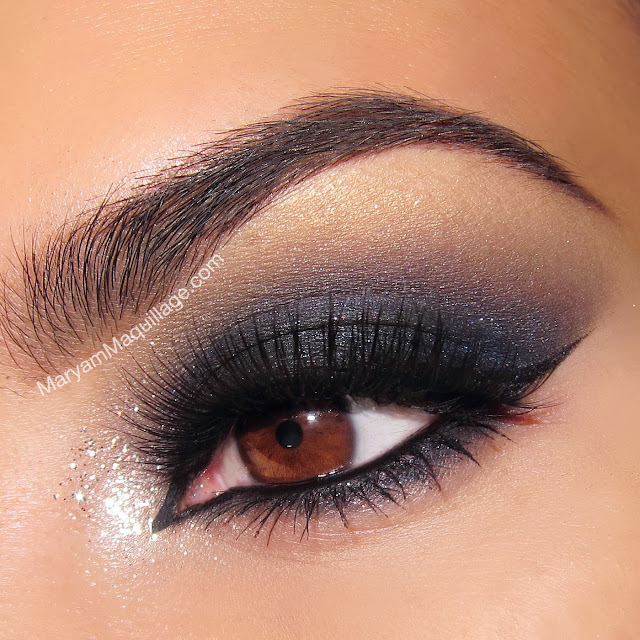 Apply false lashes & mascara and add a touch of silver glitter to the inner corner. 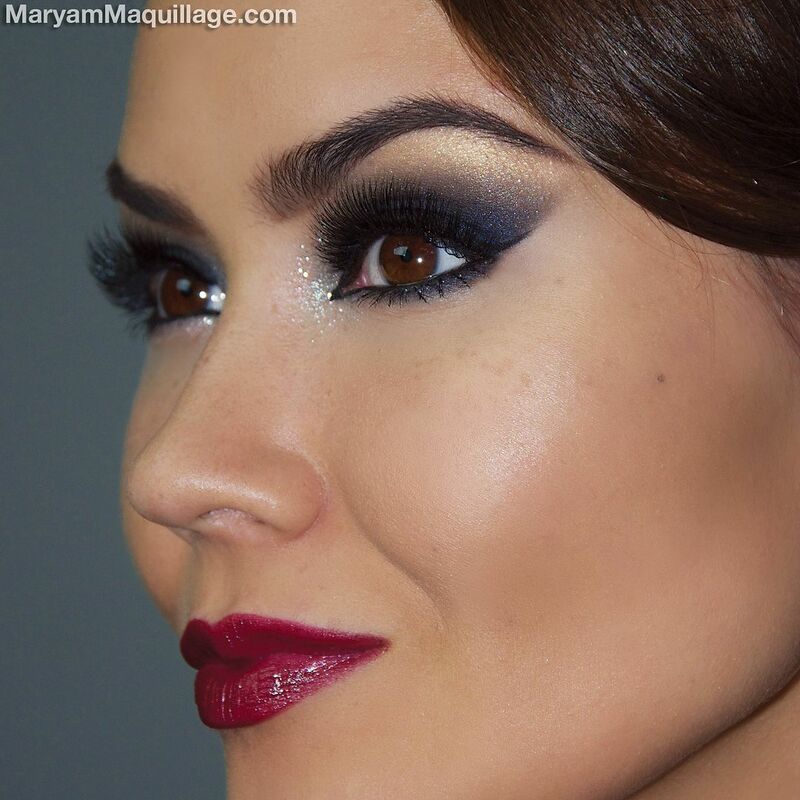 Must subscribe to Maryam Maquillage on YouTube, must follow MaryamNYC on Instagram. Must follow Missha US and Maryam Maquillage on Facebook. Additional entries increase your chances of winning and add up to a total of 25 entries. This giveaway ends January 1, 2014 at 12:00 AM EST. Three winners will be randomly chosen, announced and contacted on 1/1/14 after which, each winner has 24 hours to respond, otherwise a new winner will be chosen as a replacement, again at random. GOOD LUCK & Merry Christmas!!! Hi Maryam: Another stunning look. 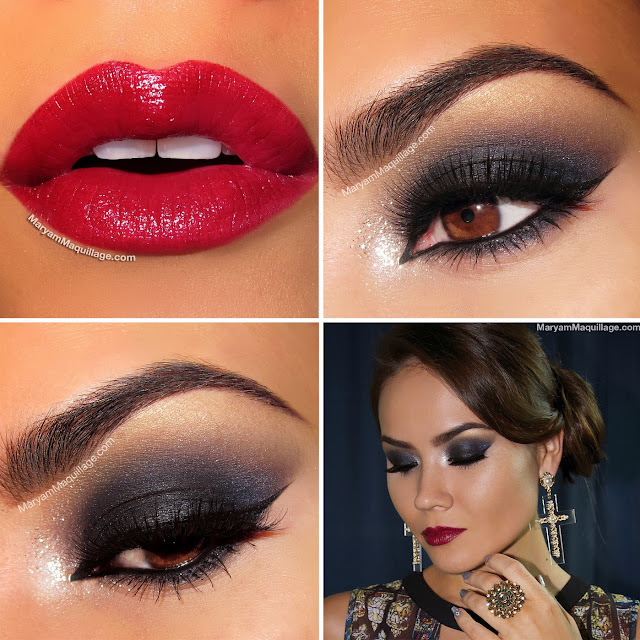 I love your own description of yourself "classic party makeups: a sultry navy smokey eye paired with burgundy lips and edgy accessories for a killer look that's made for a femme fatale!" Nothing would describe you more appropriately. Merry Christmas. Best wishes Ram. Wow!!! You def look stunning!!! Love your makeup and nail color. Love the colors that you have choose and they really look festive! Great look for this season. Feliz Navidad y Próspero Año Nuevo 2014!!! You are so stunning and the look is gorgeous! Thank you so much for sharing!! Great look, I especially love those earrings!